The AAP Thursday released its Varanasi manifesto, promising a "holy city" status to the city besides setting up new medical centres, cleaning the Ganges and curbing the mafia.In the seven-page manifesto, the Aam Aadmi Party (AAP) accused the Bharatiya Janata Party of "ruining the city's infrastructure and civic amenities in the last 15-20 years of its rule" in Varanasi.AAP leader Arvind Kejriwal is pitted against BJP's prime ministerial candidate Narendra Modi in Varanasi. The third main candidate is Ajay Rai of the Congress. "Varanasi will be developed as the spiritual capital of the world and hence it will get the status of a holy city. We will arrange special economic packages from the central and state governments to develop the city's infrastructure," the manifesto said. "The Ganga and all the ghats will be cleaned. Plastic will be banned in the city so that the river is not polluted. "There will be new, better roads, special focus on beautification and cleanliness of the city including places of religious and historic importance ... (to) help boost the city's tourism." 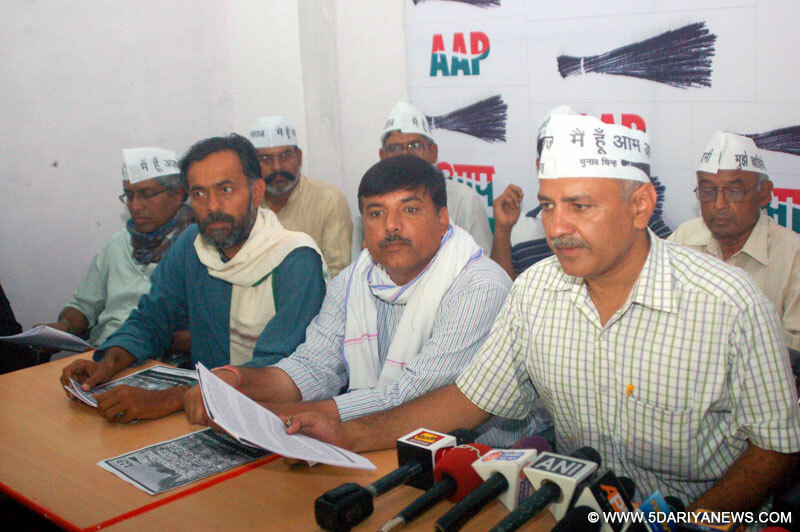 The AAP manifesto pledged to set up an institute on the lines of the All India Institute of Medical Sciences at the Banaras Hindu University (BHU) in addition to opening primary health centres in rural areas.It promised to set up a sewage treatment plant in the city and provide water pipelines to areas which do not get adequate water, especially the villages. Subsidised electricity to re-energise the city's industries and uninterrupted power supply to homes would be offered.Focusing on the BHU, the AAP said all allegations of corruption against the university administration would be probed in a time-bound manner. It promised to re-introduce student elections in all universities and colleges.Promising to end the alleged connivance among police, politicians and the mafia, the AAP said: "The politics of truth and sacrifice will end the unholy matrimony between the three. "The manifesto also promised to address the concerns of farmers, boatmen, fishermen, and those involved in unorganised sectors like toys and handicraft industry.